takes sections in nb to define mail messages, with the section title being the "To" address, the subsection title being the mail Subject, and text cells being the mail Body. appends the elements in the association assoc to the definition of each mail message. opens a basic template notebook for sending mail. 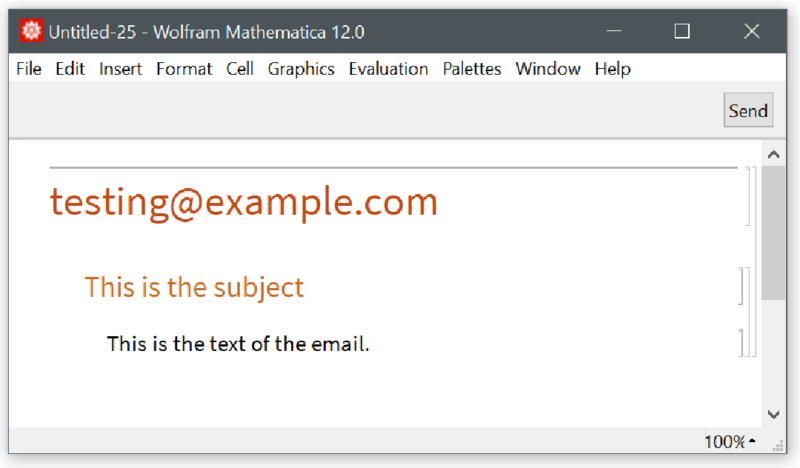 ResourceFunction["SendMailFromNotebook"] creates a new notebook for composing an email with a send button. ResourceFunction["SendMailFromNotebook"] returns an interface that previews mail messages, then gives a Send Now button. 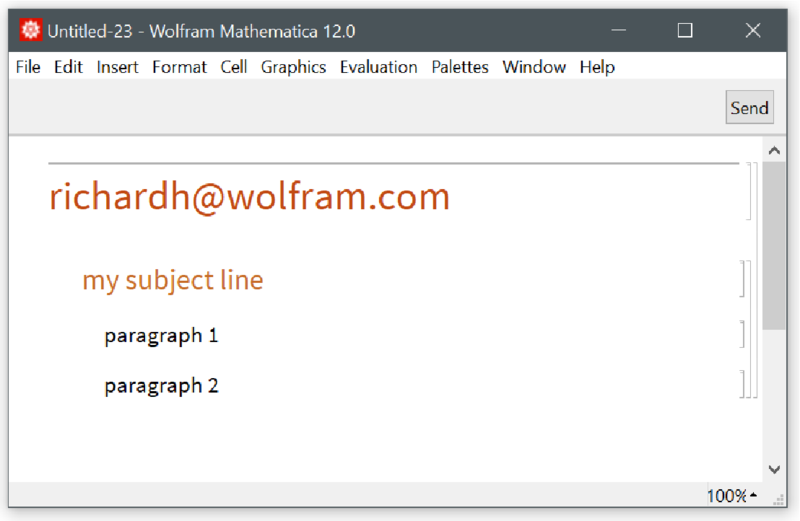 Within the mail notebook, subject lines can be given as "Subsection" or "Subsubsection" cells. The body of messages can consist of multiple "Text" cells. Explicit "From" and "FullName" elements should be given in assoc if these are to be included in mail messages. Otherwise the default behavior of SendMail for the current account will be used.